OK. I’ve got to be honest with you here. Finances are truly not my strong point. I can do the maths, I can allocate the money, and I surely love money! Don’t we all right? Well, for the 5 seconds we hold it in our bank accounts before it goes back out to bill payments anyways! But managing it, budgeting, financial forecasts, and organising my super? Well, it all just sounds a bit too much like gibberish to me. And if often gets puts aside in the too-hard basket. Sorry Shelley, I know you’re cringing at me right now! So to kick the Step Into Spring series off, today I’ve got the lovely Shelley from Money Mummy here to share 5 key tips for spring cleaning your finances. Money Mummy is our resident financial adviser, and once saw herself as a female “Gordon Gecko” working as a stock market analyst. Now Money Mummy prefers to help you make the most of your money, whilst playing with her kids and juggling the Financial Review. Spring has sprung!!! However, spring cleaning is not just about attacking those wardrobes over-flowing with clothes you just don’t wear, or the hall closet full of random things that you never touch. Your finances need some attention too, and spring is the perfect time. 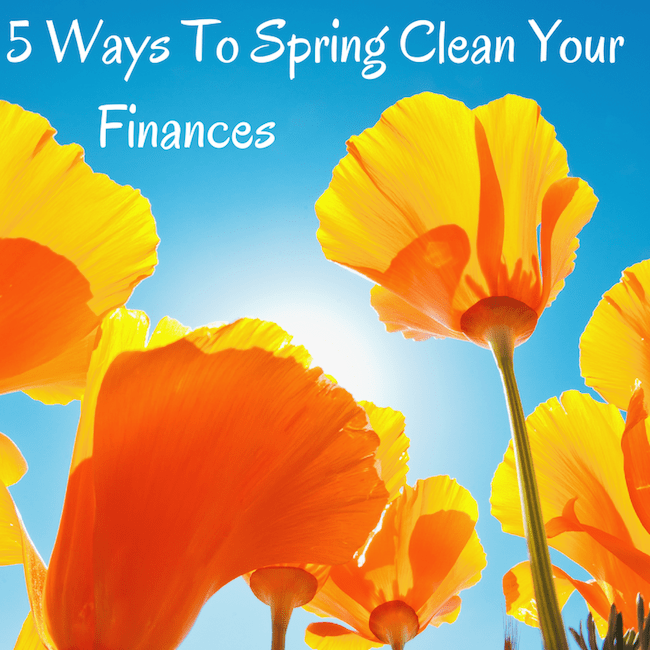 So here are 5 simple things you can do to spring clean your finances. There are lots of ways to boost your income, but one of my faves is making sure I am getting all my entitlements from the government. For this I use the Centrelink Payment Finder – it is fast and alerts me to payments that I might be eligible for. Also, I like to do an unclaimed money search. It takes all of 20 seconds and is completely free. Potentially it could find you any lost bank accounts, shares or life insurance policies that you might have forgotten about. I know, I know, no-one likes to think about tax. Not even me! However, if you are not using a registered tax agent, then your tax for last financial year is due on the 31st of October, 2014. I used the new site myGov to do mine. It has hardly any questions compared to e-tax and most things were prefilled – yippee!!! It was super fast, easy and convenient. To check if you can do your tax on myGov click here. Don’t feel bad if you have more than one super account, pretty much everyone does. Apparently there are roughly 3 superannuation accounts for every working Australian. So you’re not the only one! Consolidating is way easier than you think. Just go to the Australian Tax Offices SuperSeeker site and you will be able to consolidate your accounts online – no paper involved! So look into consolidating your accounts, it is easy, free, and it will save you on fees. That means more money for your retirement. Oh! I hear you groan. Don’t worry, I understand! But the truth is that a budget does not have to be a complicated scary beast. In fact, I used the MoneySmart website’s free budget planner and it was dead easy to get my budget done. If you want to check out the planner click here. Revisit your policies: do you have enough insurance? Have your circumstances changed? Are you getting the best deal for you and your family? Insurance is not just a case of ‘set and forget’. Things change and when the worst happens and you really need it, you want to be sure that you are covered. Thanks for having me Hope! It was fun hanging out with you all over at Nanny She Can Do. If you liked this post come on over and check me out at Money Mummy, where there are plenty more money tips. For more in the spring series, have a look at 5 Easy Ways To Sort Out Your Superannuation For Spring. See you soon! We’re celebrating the arrival of spring all week on the blog. We’ll be featuring some great “step into spring” posts to ease you into the new season, with favourites from Money Mummy, Mums Take Five, Sheridan Anne, and Fresh Home Cook. You’ll surely be inspired to put a little spring into your step! Join us this week if you like, and tweet us your favourite step into spring themed posts using #stepintospring. Haha me too Jess, it’s not much but hey, every little penny counts right! Any time Shelley, great to have you. We all need a resident go-to finance person in our lives!